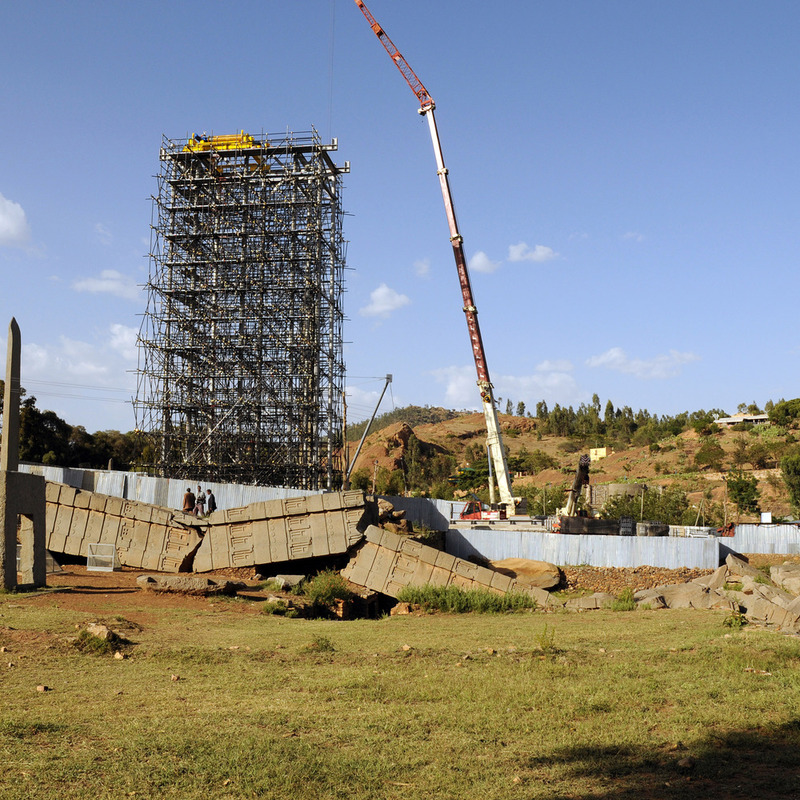 Description: June 2008 : Re-installation of Aksum Obelisk (known as Stele 2) in its original location. Phase 1 : installation of the first piece. Foreground : the huge Stele 1, broken before its erection (IIIth and IVth centuries).